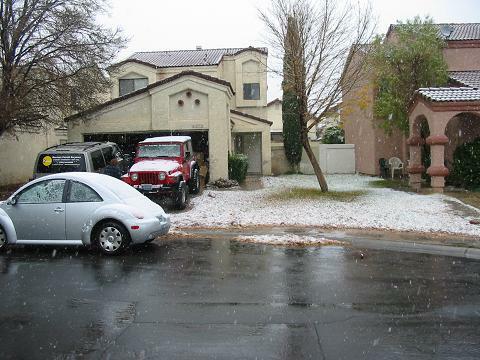 Home > Life in General	> Snow in Las Vegas! This was on Monday, December 15th. We’re getting a dusting right now, and I should have even better pictures to post tomorrow morning!